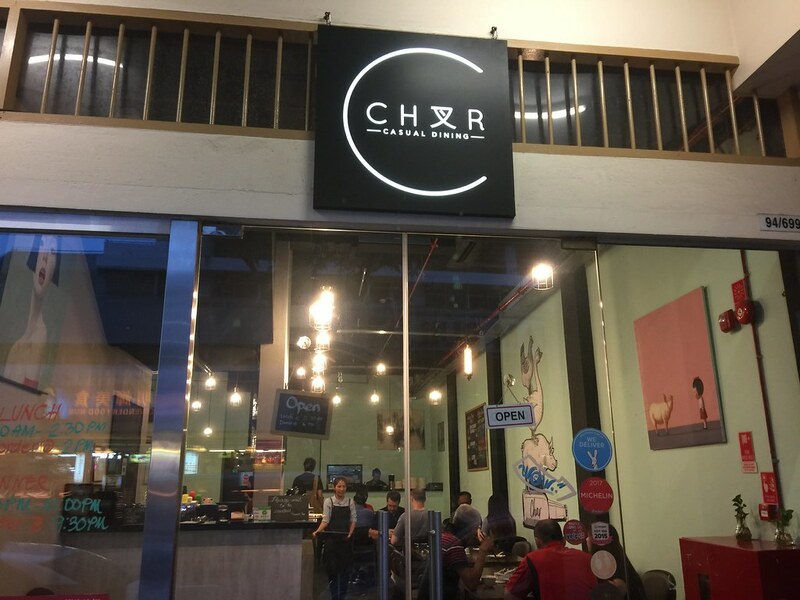 CHAR Restaruant is started back in 2014 by two Vietnam born brothers Anthony and Alvin Ung who used to live and work in the United Kingdom before re-locating to Singapore. The duo opens their first restaurant at Guillemard Road before moving to their current location at Jalan Besar. CHAR restaurant is known for their unique twist on traditional Chinese roasts such as char siew, roast pork and roast duck, accompanied by a sizeable Cantonese-based menu. Our dinner started with some Passionfruit Prawn Ball ($22) which is shelled, lightly dusted in flour and deep fried to an enjoyable crunchy and crispy texture. 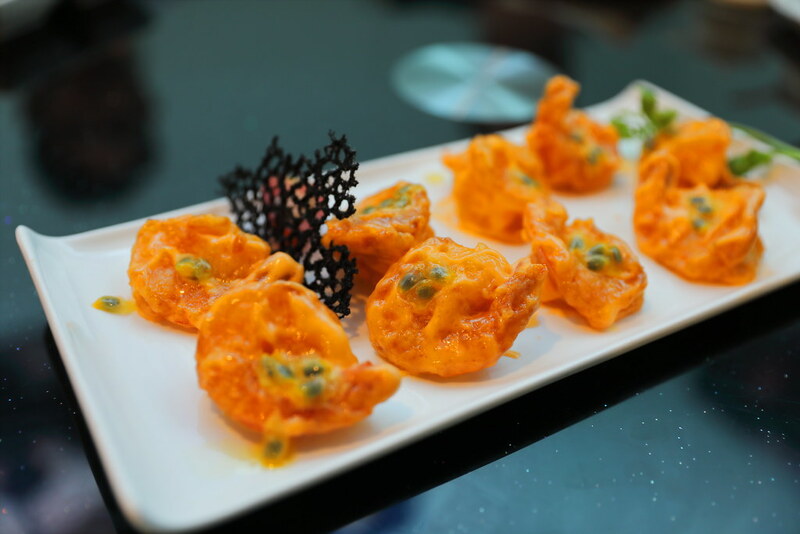 The prawns are then coated in a sweet and tangy passionfruit dressing, for a refreshing finish. 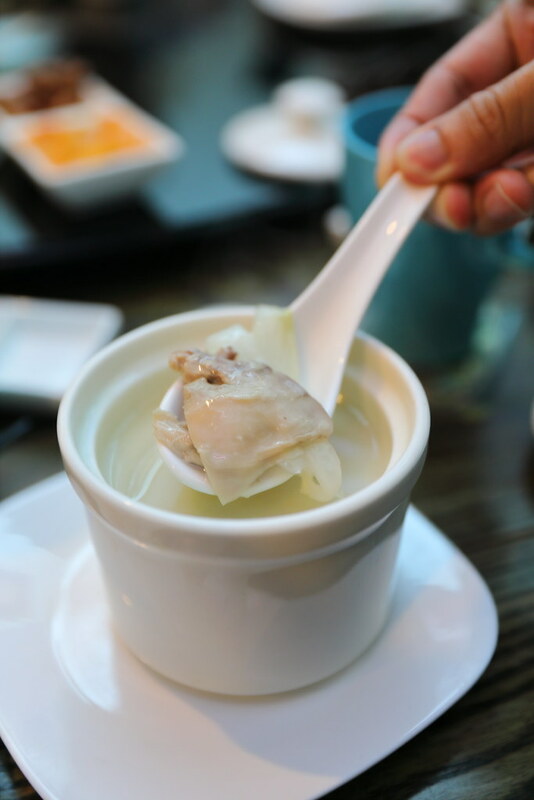 Cantonese cuisine is known for the soup and not to be missed is the Signature Double Boiled Chicken Soup ($10). 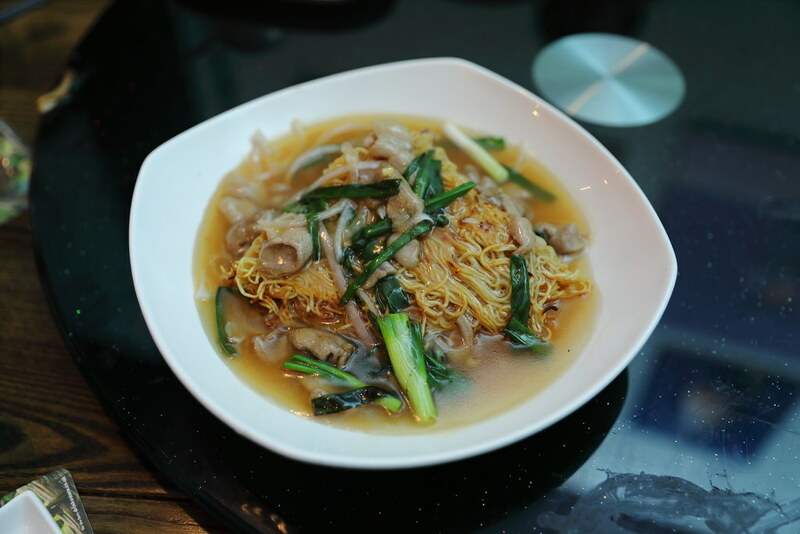 The bowl of soup comes with chicken pieces, morel mushrooms, white cabbage and dried scallops. The comforting bowl of soup has a milky consistency, packed with depth. This is achieved from boiling chicken bones and cartilage for hours. Do note that limited bowls are available per day. 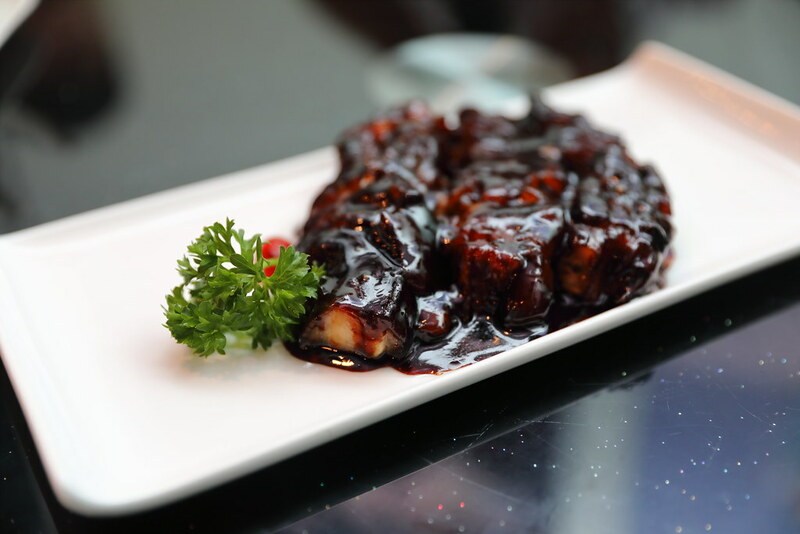 The Signature Char Siew ($6 per 100g) is the brothers' original creation for their restaurant opening. A minimum order of 300g is required. Using pork belly for their char siew, I was told the balanced ratio of lean and fat undergone 3 different stages of cooking to achieve the tenderness and moist. During the last stage, a special marinade consists of 30 different ingredients is infused into the pork belly. The char siew texture indeed is very soft, almost felt like having a piece of fat. The sticky dark sauce was really sweet, in fact a bit too sweet for me. The brothers' latest creation is the Premium Slow Roasted Kurobuta Char Siew ($20 per 150g) which is only available during dinner and needed be to reserved beforehand. Only 10 portion is available each day. Using the premium kurobuta pork belly, it has a higher lean to fat ratio with marbling. 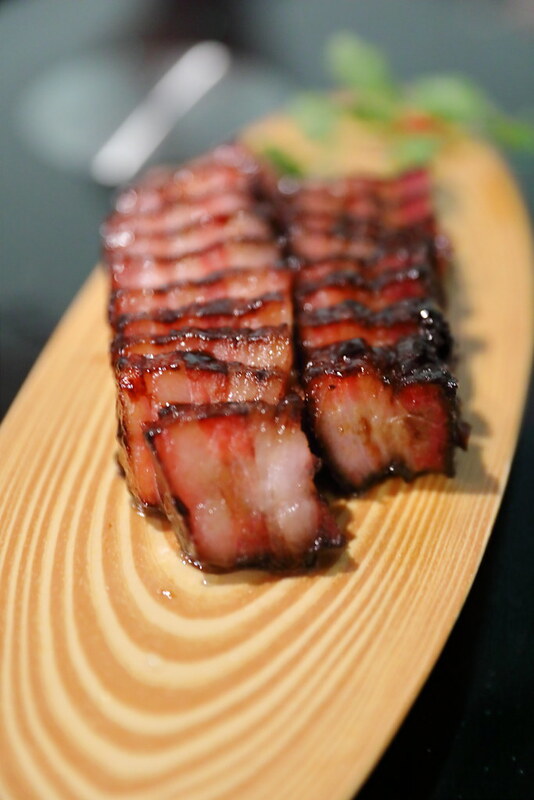 It gives the char siew a firm yet moist bite. 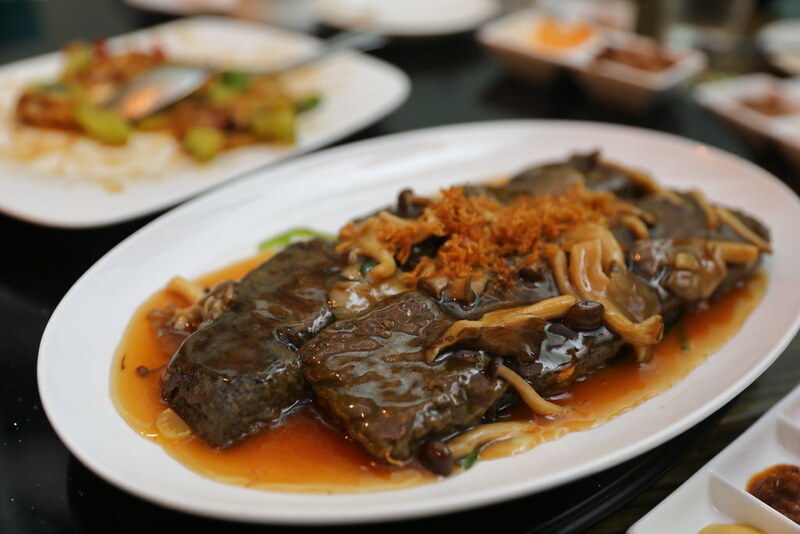 It is then slow roasted over a combination of charcoal and sweet lychee wood, giving it an aromatic smoky flavour. Give me a bowl of rice, that is my thought when the Black Garlic Stewed Chicken in Casserole ($15.80) is served. 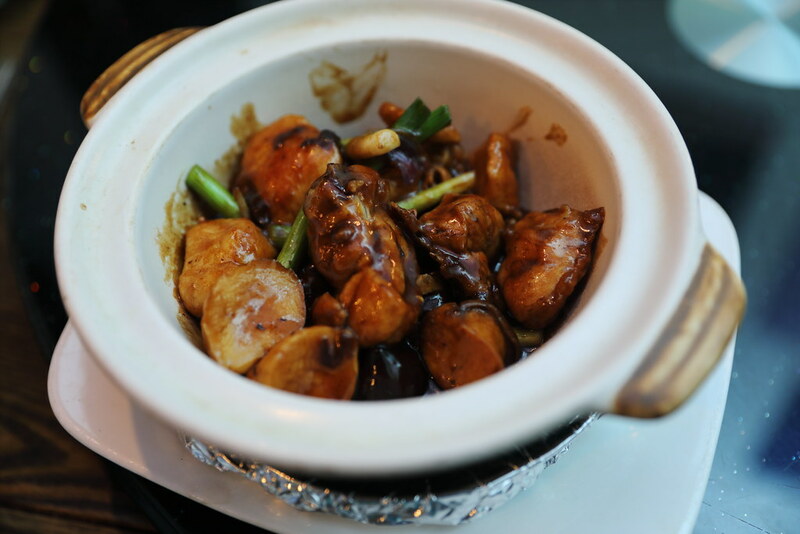 The claypot comes with pieces of chicken thigh and oyster mushroom braised in a dark sauce consisting of oyster sauce, dark soya sauce and sugar. The roasted black garlic cloves provided a nice caramelised sweetness to the dish. 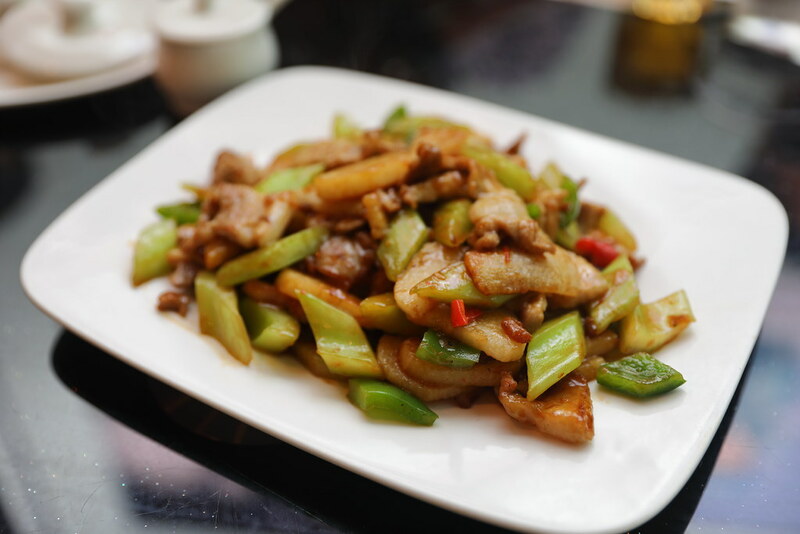 The Fresh Wild Yam with Pork in Sambal Sauce ($13.80) is an interesting dish incorporating fresh wild yam with pork slices, celery and green peppers in sambal belachan sauce. Although sambal belachan is used, it is not as spicy as I thought. In fact it is well balanced, with a nice wok hei aroma. My favourite element is the crunchiness of the wild yam. From crunchiness, my attention moved to the silky Charcoal Beancurd with Spinach and Wild Fungi ($14.80). Freshly made daily from scratch and infused with charcoal powder, the beancurd is first steamed and then deep fried. 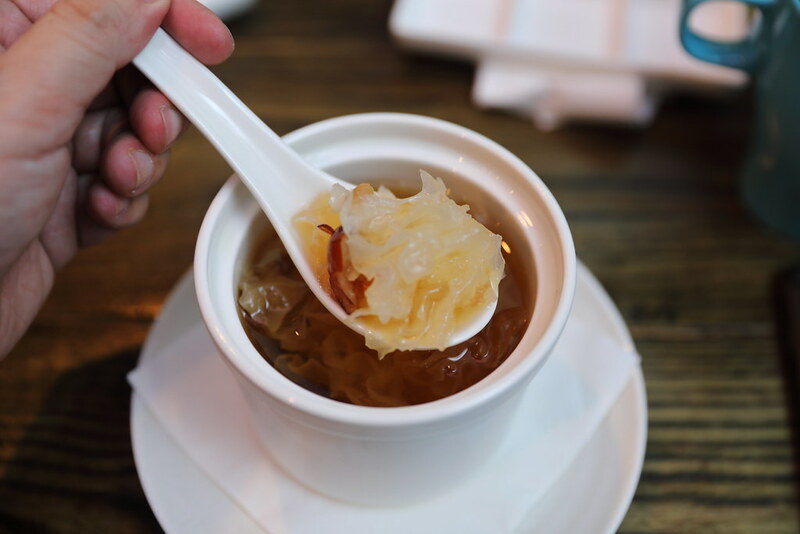 A light broth consisting of oyster sauce, dried scallop and wild mushrooms is drizzled over the beancurd, giving it a coat of shine for a wonderful dish. Last but not least we have the Crispy Egg Noodles with Kurobuta Pork ($16.80) to wrap up the dinner. I enjoyed how the egg noodles managed to soak up the delightful broth while still have a slight crisp to it. The jewel on the crown is the lightly pan-fried Kurobuta pork. Besides the roasts and Cantonese dishes, CHAR restaurant offers a selection of ciders and ales specially handpicked by the Ung brothers. Everyday there will be three ales and a cider by draft at $14 per pint and $8 for half a pint. On top of that, there are bottle ales and ciders at $15 and $14 a bottle respectively.